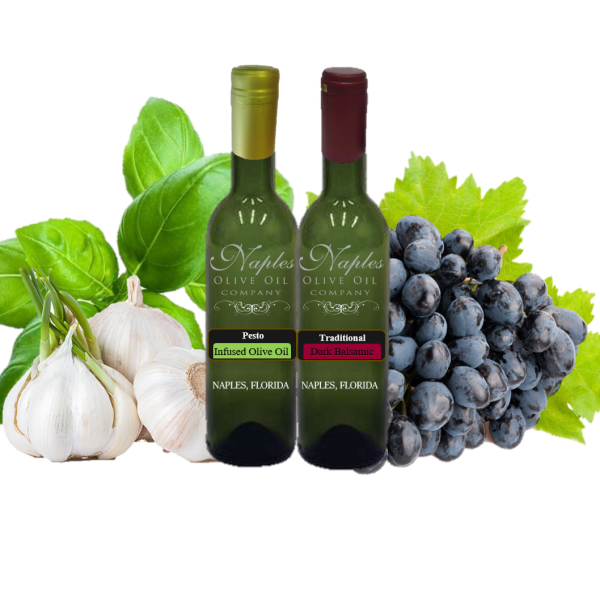 Our Tuscan Herb Infused EVOO is a favorite amongst chefs, staff, and customers alike. Top notes of dried basil, marjoram, garlic, oregano, thyme, rosemary, and crushed red pepper create a flavor explosion that is both balanced and harmonious. 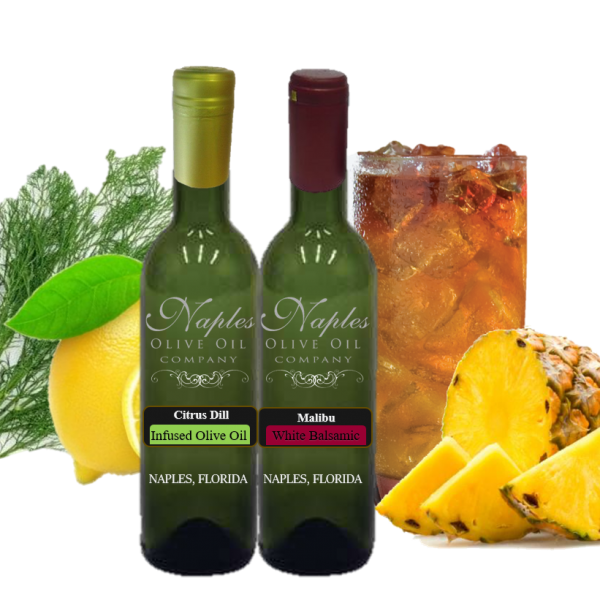 This classic infused olive oil is great for everyday use but especially delicious when drizzled on grilled vegetables, pizza, or pasta. 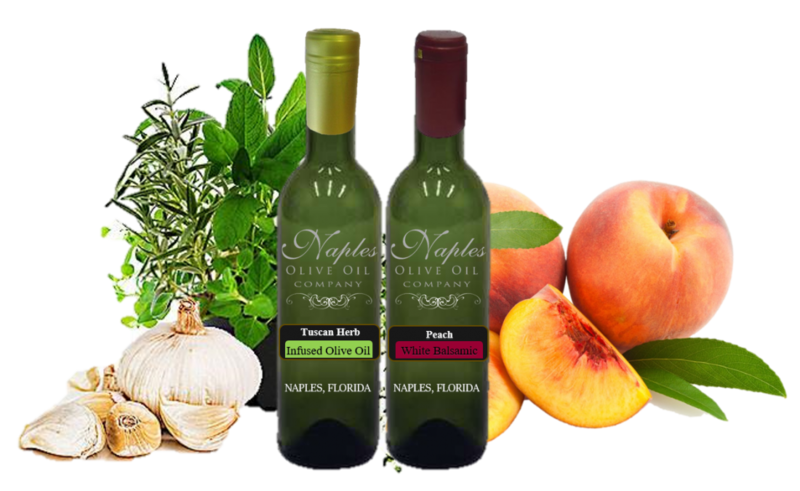 We like Peach white balsamic in salad dressings, marinades, chutneys, and in sweet glazes on smoky barbecue. Our true-to-fruit Peach balsamic epitomizes the flavors of freshly picked, ripe peaches immersed in the highest quality white balsamic. 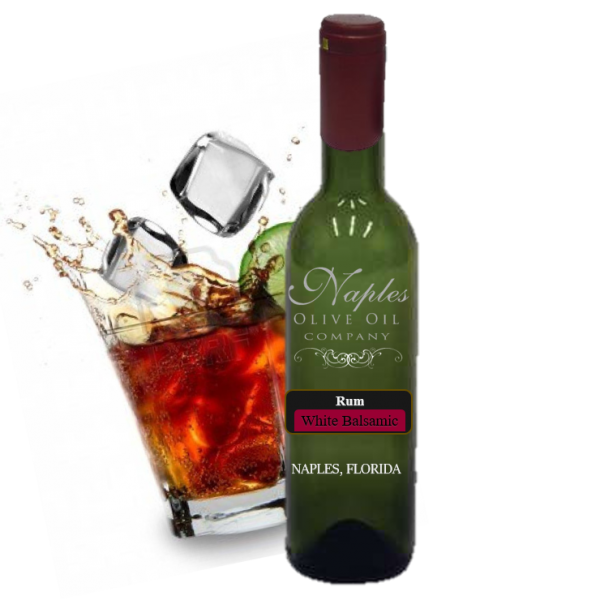 Complex, tangy and fruity this is a staff and customer all-time favorite.